Really, times like this all I wanna do is stay in bed or eat ~ eat something warm. 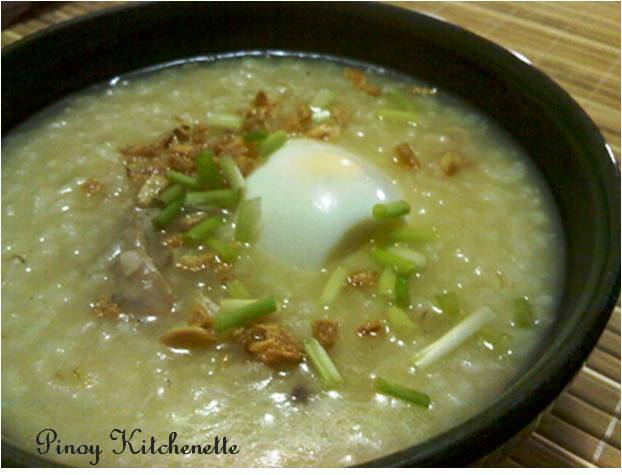 From the list of comfort food, this comes up first in my mind.... Arroz Caldo! According to Wikipedia, Arroz Caldo is actually a chinese congee that was adapted to the taste of Spanish colonial settlers who patronized chinese restaurants in the Philippines. Thus the spanish name "Arroz Caldo" which means rice broth. I remember when I was a kid whenever I was sick, I would have this as meal. Rice is cooked with ginger in it which is good for cold or sniffles or an upset stomach. Often, this taste bland, but you can have fish sauce, ground pepper and calamansi as condiments. In a pot, over low heat roast the garlic until golden brown. Do not burn. We want to achieve a nice golden brown and crisp. Remove the garlic from the pot. Set aside, we will use this for garnishing later. In the same pot, sauté the ginger (with the same oil we've roasted the garlic into). Add the chicken and the bouillon cube. Cook chicken until brown. Add the rice and water, saffron and ground pepper. Cover and cook for about 20 minutes. Stir occasionally to avoid sticking. Season with fish sauce. Add water if needed. When serving, garnish with the roasted garlic and chopped spring onions. Add hard boiled eggs if you like. 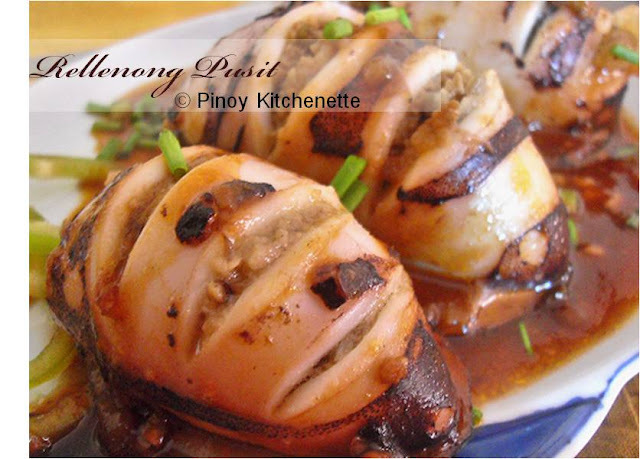 Serve with calamansi and fish sauce, as preferred. Tasted this in Brazil...we have a similar Indian version without chicken. Thanks for that piece of trivia about arroz caldo. So congee is the original term. That answers my husband's question when he saw an ad for Chowking's congee. He asked how it differed from arroz caldo.